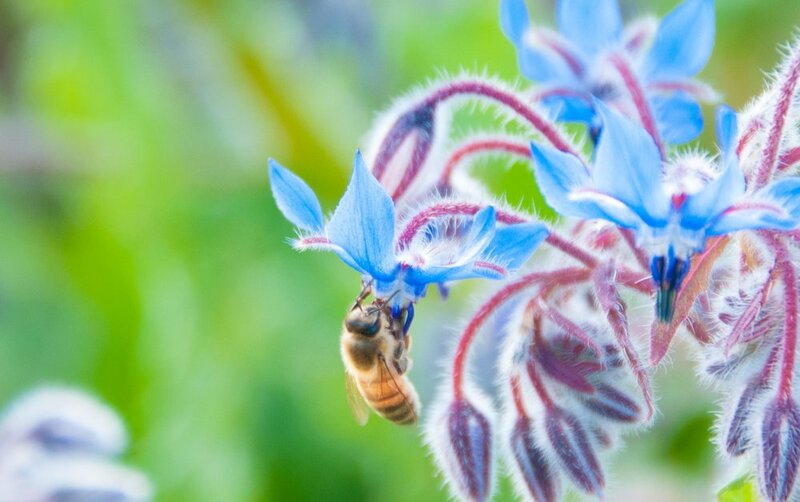 How bee-friendly is your garden? o look carefully because some bees are quite small and may look more like hoverflies. Overall what proportion of your flower beds have any plants attracting bees? Are there some plants you should replace with something better? Based on the answers to these questions you can now decide what to change or just sit back and enjoy all that glorious buzzing. Our knautias have been if full flower for about 3 weeks and bring a really welcome shot of colour to what has so far been a drab June. The standard version of this plant has the dark red blooms but we have some of the 'melton pastel' version mixed in that includes several shades of pink too. Knautia flowers can rise to 150cm high and will lean outwards giving a big area of colour; our square meter of planting at ground level becomes about 3 square meters at bloom height. I recommend a bit of support to keep them from flopping on top of other plants. They attract all bumblebees; yesterday I counted 6 different species at the same time on our patch and an average of 12 bees. This display will last about 6 to 8 weeks - longer if you trim of any stems that have finished flowering an encourage more to grow. 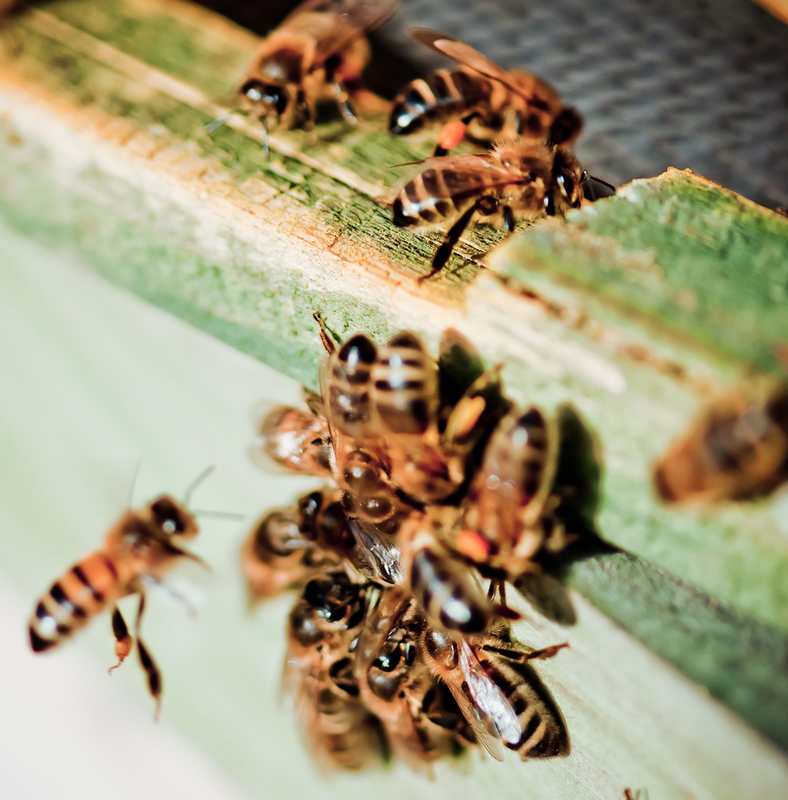 At rosybee, we grow and sell plants for bees; that is what we are all about. We grow the plants in trays of 10 large plugs at great value prices. This is designed to encourage our customers to plant a nice big block of the same plants which is how the bees like it. Here is what our product looks like all packed up and ready to courier. The plug plants are all bursting with health and ready to get into the ground. The packaging is specially designed to hold the trays of plants snuggly, prevent any crushing and ensure they arrive in perfect condition. 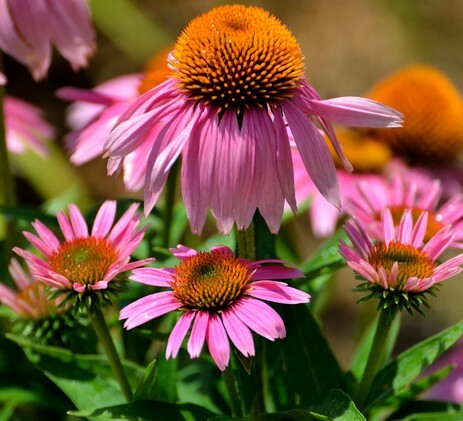 April and May are the best times for planting; even though most of the plants are hardy and a robust size, they will grow away better if the soil has had a chance to warm up. Dont do too much weeding! In winter time almost all perennials look terrible; they carry last years now dead leaves, flop on top of each other and then get covered with tree leaves to give the overall impression of grey/brown mess. Tidy gardeners may have gone round at the end of Autumn cutting back old growth and clearing the debris into the compost bin. Others may leave this job till spring, which provides more cover for insects and small rodents but does mean you have to live with a mess. I tend to be in the latter camp but mainly so that I don't accidentally destroy all the self-seeded little wonders that are the plants natural renewal process. A few of the plants I sell are either annuals, biennials or short-lived perennials which rely on setting seed to replace the old plants. 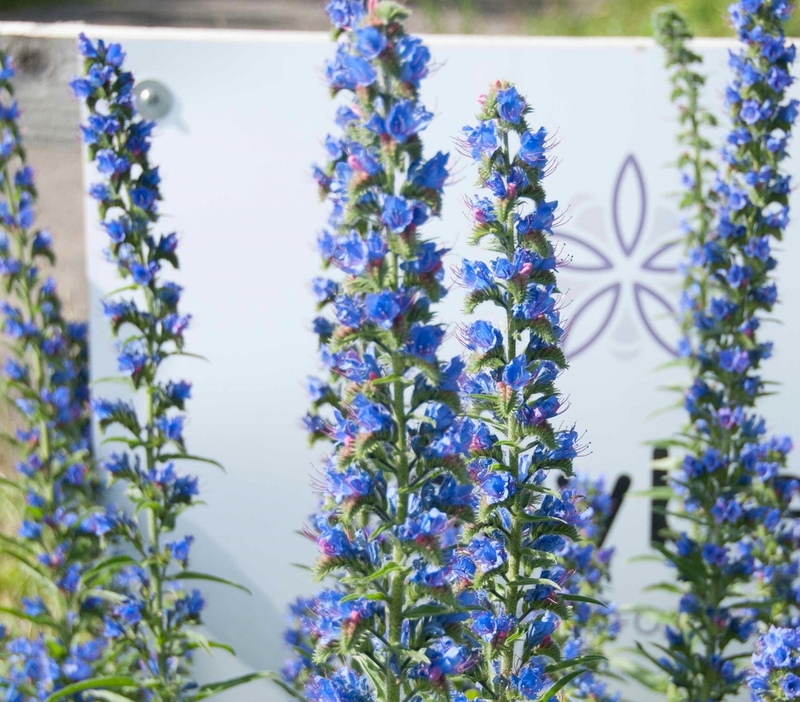 These include the cheiranthus (wild wallflower) - pictured above - echium vulgare and borage. All fabulous bee-plants in their way so you do not want too loose them in the tidying process. The cheiranthus produces many small seedlings at the base of the old woody plant, so they are quite easy to find if you leave the woody stalk in as a marker. They are dark green glossy stars and just need to be slightly thinned to 10cm (3inches) apart to encourage nice bushy plants. The echiums (pictured left) look terrible after their first year and you could be forgiven to thinking they were some terrible thistly weed so I provide this picture to aid their identification if you have forgotten what you planted. Have faith and by summer they will transform into blue spires that provide nectar all day long. Similarly, borage (below)can also be mistaken for a weed in winter. It sets seed very reliably but by mid winter the leave may well have become a bit tatty; see this picture from my garden where I think the rabbits have been helping themselves to the tasty leaves. You may remember where you had the borage planted, and the seedlings will be within 30 cm of the where the parent plant was but that may now have rotted completely away. If you are likely to have trouble remembering you might want to find the seedlings in October and lable them if there is a risk your hoe will get them. We raise much of the rosybee stock from seed and then supplement this by buying in cuttings and some additional plugs for varieties that we don't yet propagate ourselves. The germination takes place in the greenhouse next to our house as its much easier to control the temperatures here. This picture shows the hot bench all covered with cell trays containing chieranthus, malvas, scabious, geraniums and oxeye daisy. The propagation process starts in September and we continue to germinate seeds through to November for any species that will take 6 months to grow big enough to sell. Then we we sow the quick growing ones, such as any annuals, end of February and through March which a bit of light and heat to get them going.